The RedPlanet 35-88 x 76mm Newtonian Reflector Telescope from Carson offers first-time telescope users a perfect combination of quality, value, features and power. 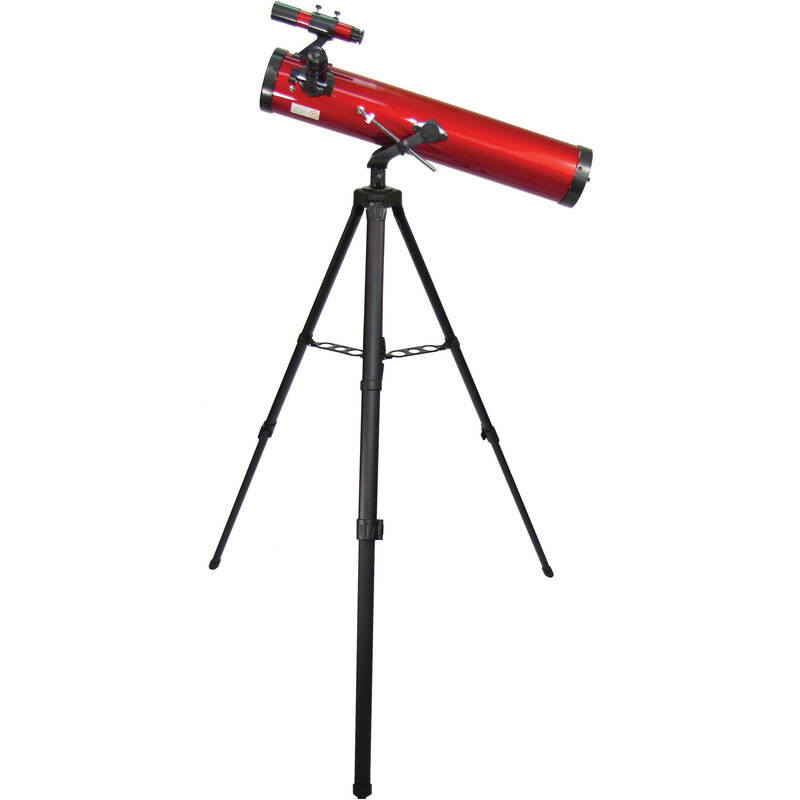 The RedPlanet is an affordable telescope that will provide hours of enjoyment for everyone. The RedPlanet Telescope sets up easily. The tripod and u-mount provide a stable viewing platform with simple controls for tracking. The optical system is fully coated for maximum light transmission, and the erect-image diagonal permits a comfortable viewing angle for stargazing. In addition to the telescope, tripod, mount, and the erect image diagonal - the RedPlanet Telescope comes with two eyepieces for maximum viewing versatility. Aperture 76 mm / 3"
Box Dimensions (LxWxH) 28.6 x 10.0 x 9.2"
CAN U SEE MOST OF THE PLANETS WITH THIS TELESCOPE? It really depends on the night sky and if there is Light Pollution where you live. Most scopes are suitable for seeing Stars, Planets, and Constellations. It really all depends on your location at the end of the day.